I thought it was supposed to take about 45 minutes. 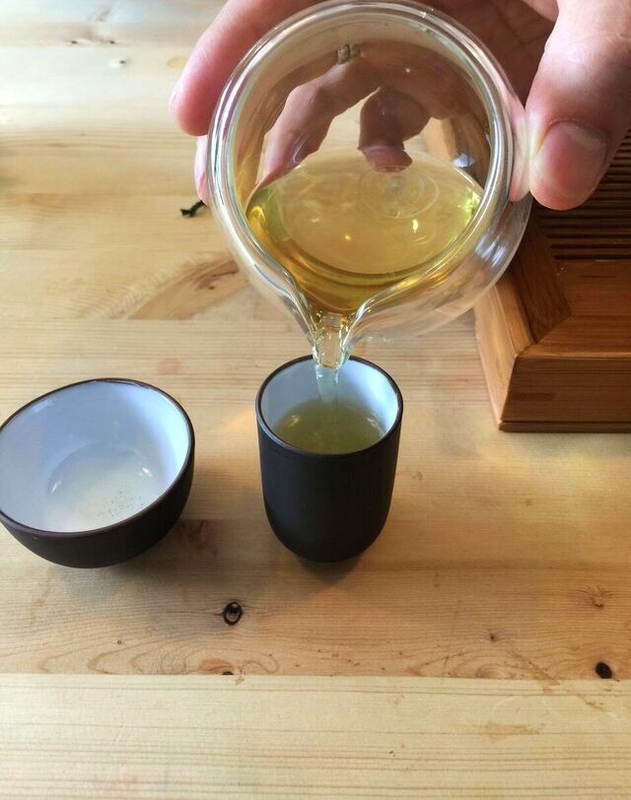 The Tea Tasting at Saku Tea in Bellingham, Washington. And I envisioned something like a sampler tray. You know, at a brewery, when they bring you 6 tiny glasses of beer so you can try more than one? Well, I was wrong on both counts. 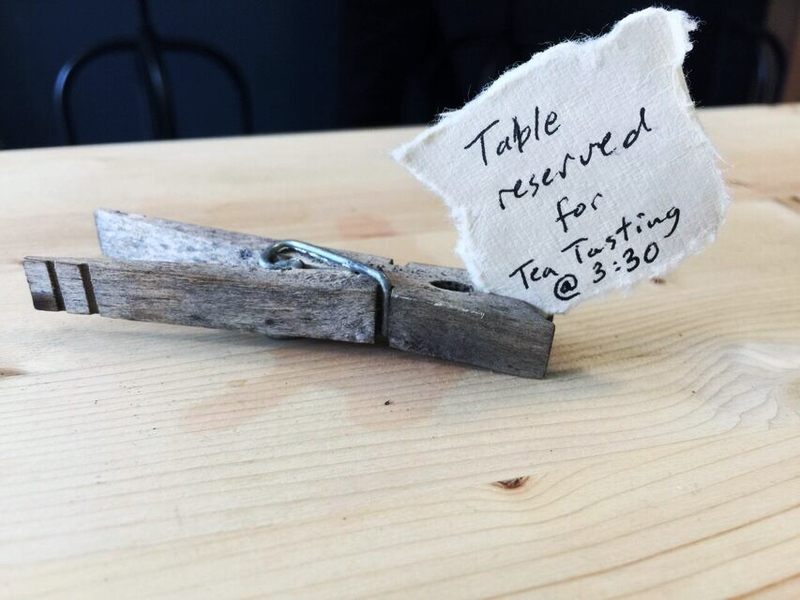 We were seated at the quaint industrial-style table for more than 2 hours, as we were guided through an educational and epicurean tea experience by the owner, Kuros. Turns out it makes for a nice afternoon date with the husband. You have to make a reservation for this particular tea service. You could also just show up and order something drinkable off of their creative menu like a Durban Red (described as rooibos + orange + vanilla + maple), relax at the bar, and sip. But they were ready for us, with a carefully crafted selection of oolong teas. 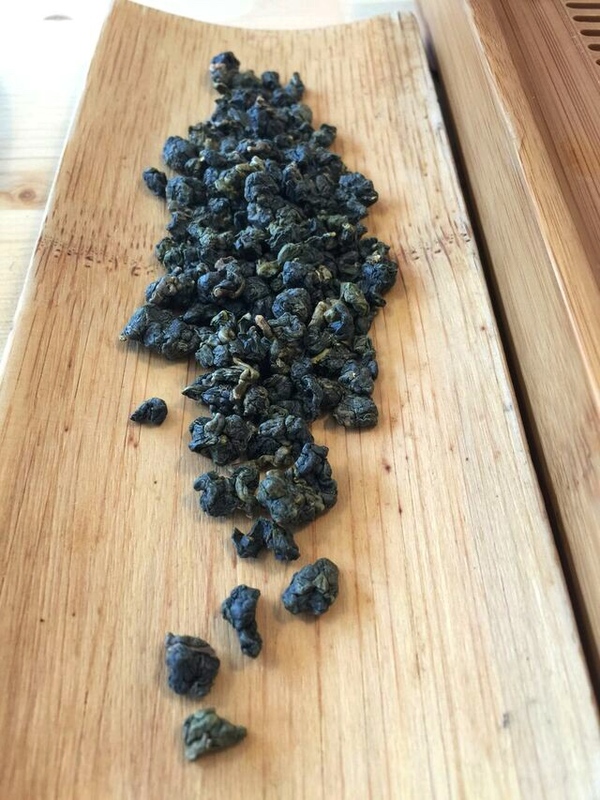 We started with Bao Zhong, which is bruised tea leaves that are rolled repeatedly, slightly oxidized, but not roasted. And the brewing device is not a traditional teapot, but a gaiwan, a Chinese lidded bowl. We learned so many things from our private tea lesson. Kuros is from Iran, he is married to Sandra, and together they share a love of all things tea. 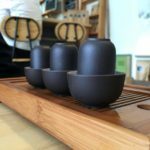 Also, he heats his water to exactly 180 degrees, and our ceremonial tasting was inspired by Chinese and Taiwanese tea traditions. Kuros described each step patiently and with incredible joy. You could tell he was having as much fun as we were. 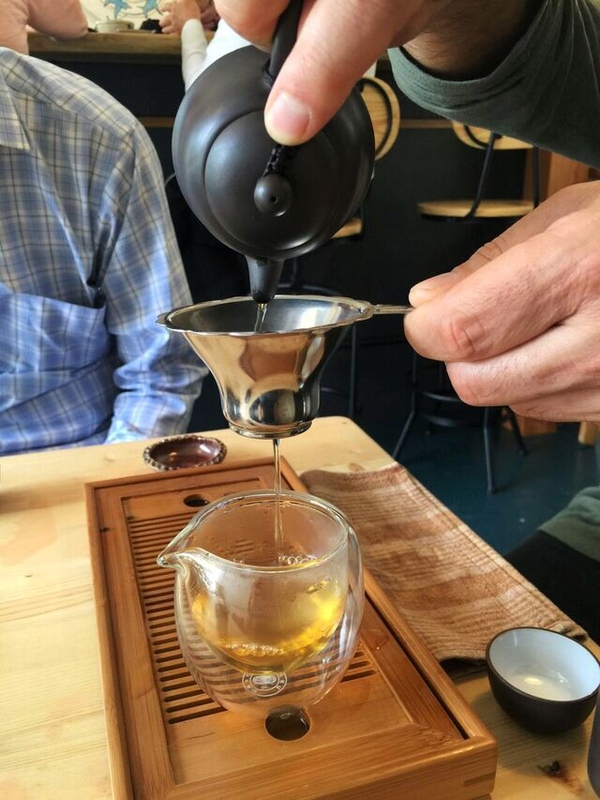 Compared to how I’m used to brewing at home, he used a lot of tea and less water, which he described as the Asian method. 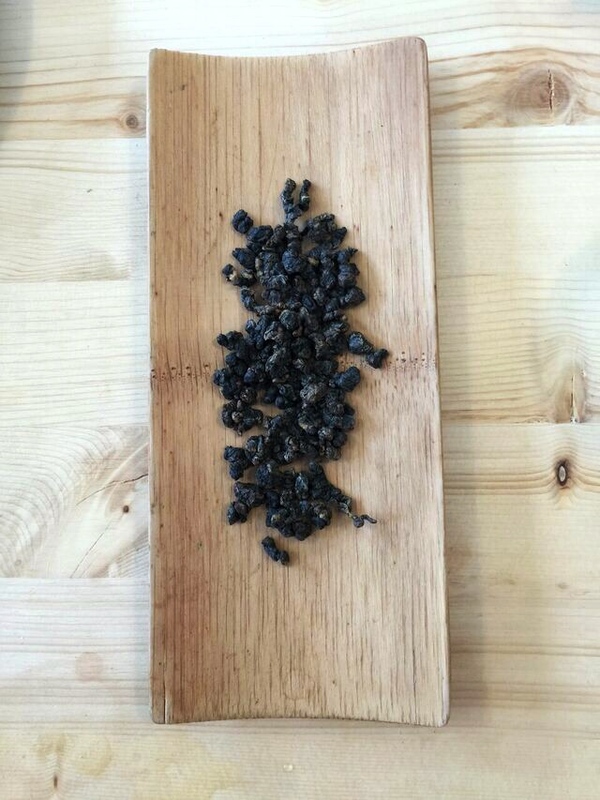 The leaves typically get re-steeped 3-5 times, making multiple infusions, each with its own distinct flavor. 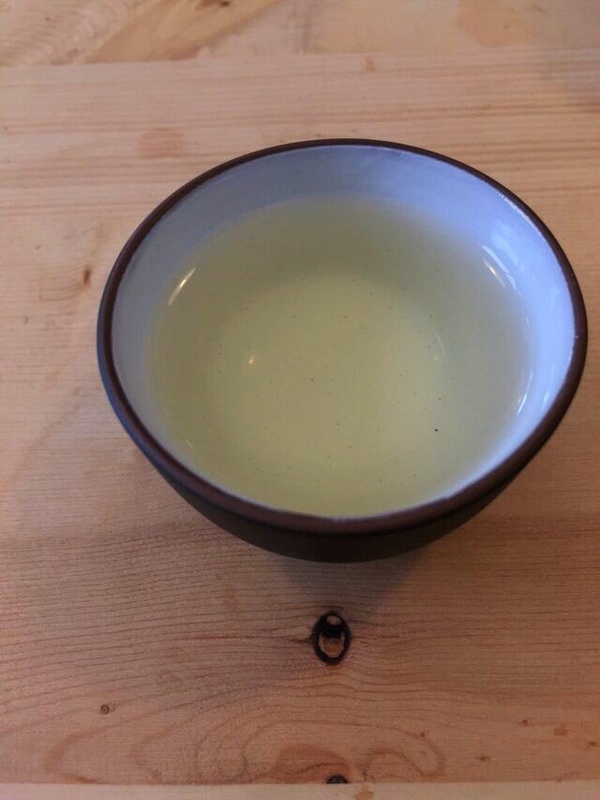 The first steeping can be distinguished as richer, thicker. And Kuros explained that the aftertaste is valued as much as the initial sensation on the taste buds, even when it’s bitter. So we savored. Boy did we savor. Eyes closed, concentrating on the flowery notes and the bright flavors like a bunch of tea scientists. With each new pouring, we were encouraged to do just as much smelling as tasting. This may be why it took longer than 45 minutes. 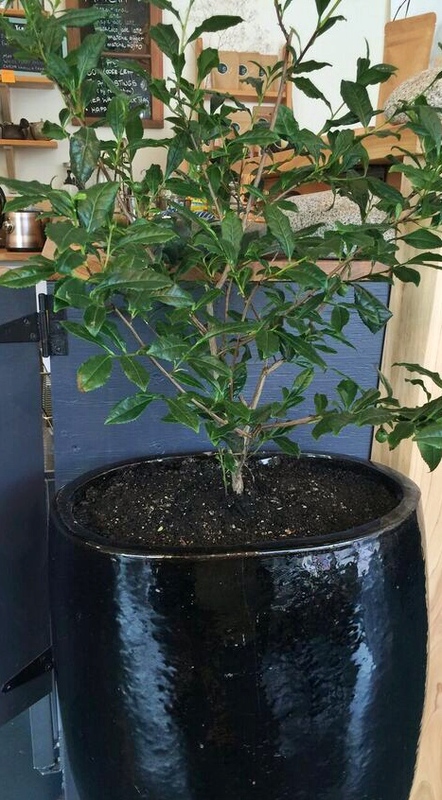 An actual tea plant happily growing at Saku: Camellia sinensis. 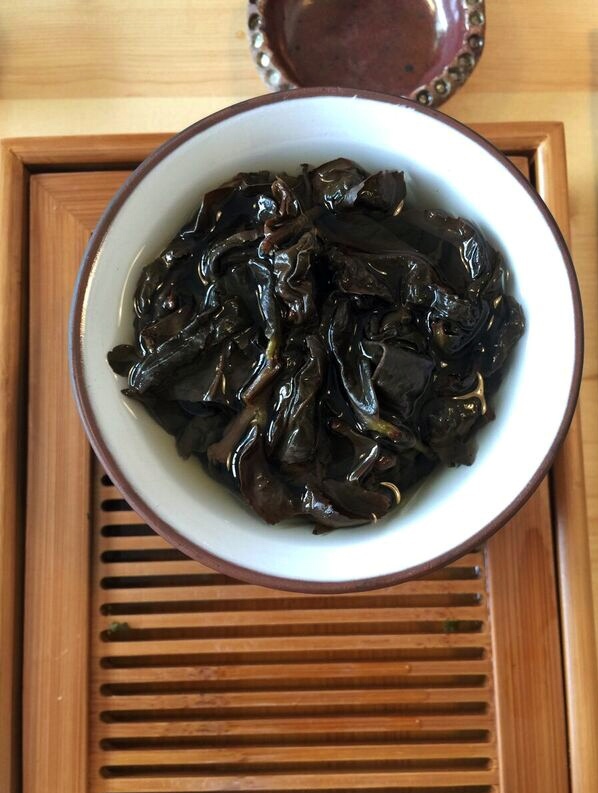 It’s amazing to think how many different preparatory steps these leaves can go through, all producing a slightly different flavor profile in the cup. After I’d lost count of the cups we’d sampled, we took a short break from drinking to do some eating. Sandra delivered two plates full of nibbles to compliment the tea. This included the biggest raisins I’ve ever seen and chocolate salted almonds, alongside dried apricots and figs dusted with masala sugar (cardamom, cinnamon, cloves, and pepper). You may also notice some chocolate. 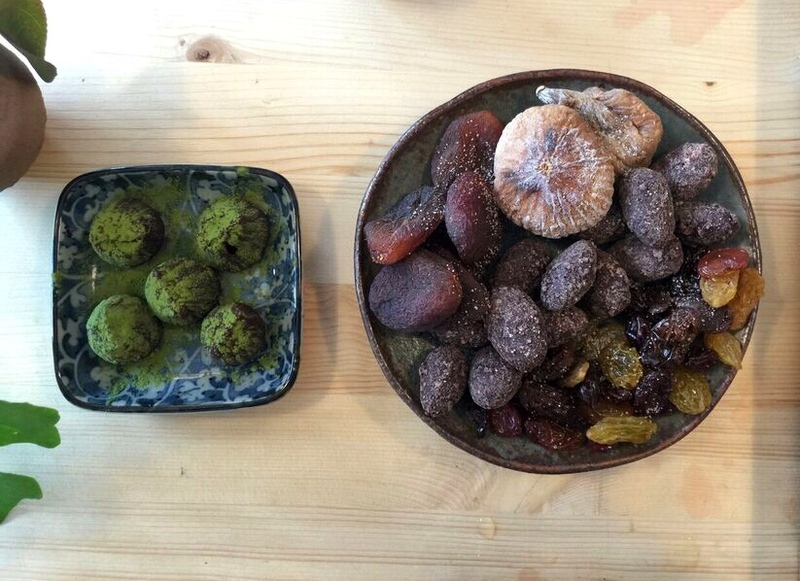 These are dark chocolate truffles that Kuros dusts with matcha (highly prized green tea powder). OK. Time for more steeping. Next up was a classic rolled, roasted oolong brewed in an Yixing teapot (named after an area of China, and surprisingly hard to photograph…hence the absence of a Yixing pic). 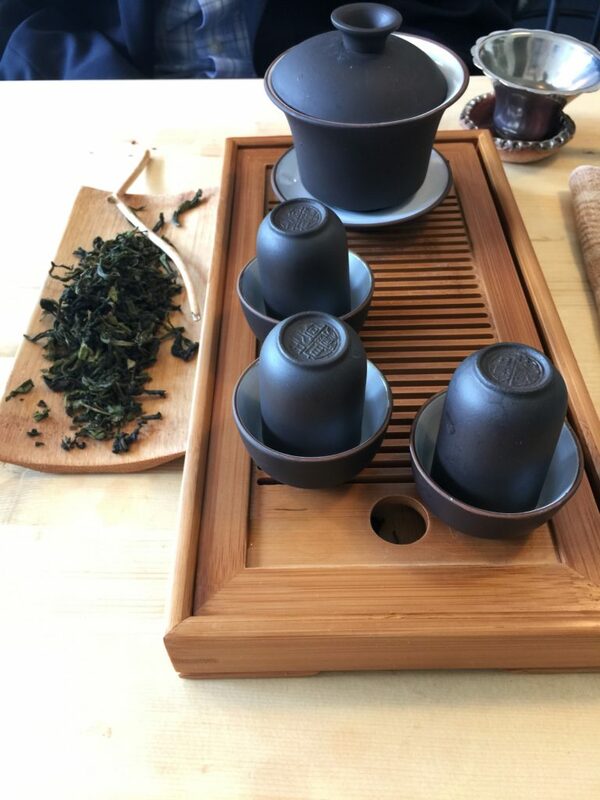 I noticed that Kuros rinsed this tea before brewing the first infusion and pre-warmed the cups with hot water before emptying them and filling with tea. He was a stickler for technique. Manners aside, it was a messy, drippy business. And slurping was encouraged. 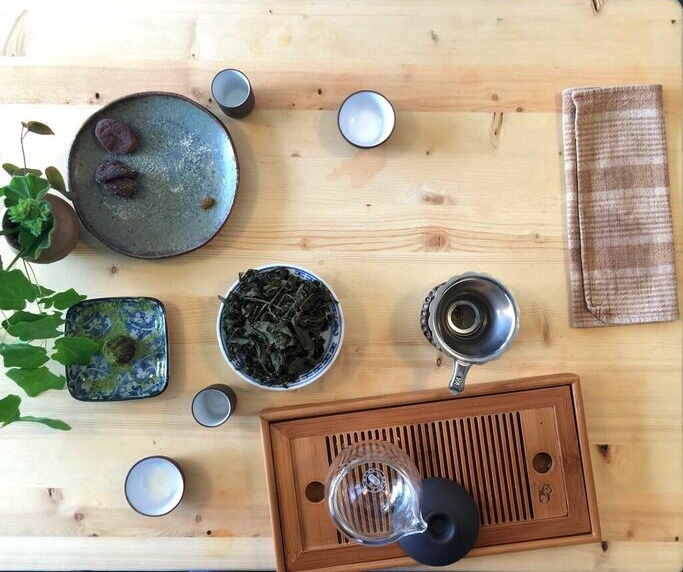 Our tea guide saved the best for last: the Honey Red oolong. 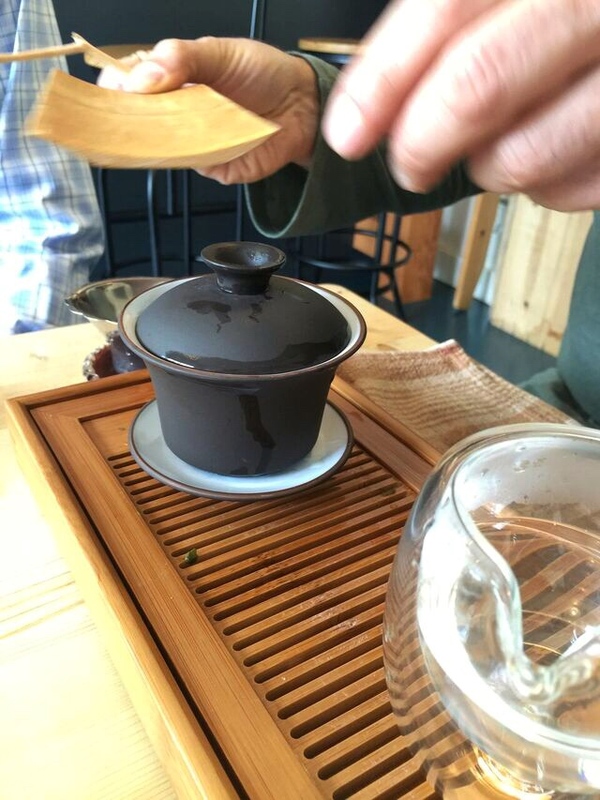 It was darker, almost like a black tea, so he opted for hotter water at 200 degrees and switched back to the gaiwan. The viscosity was noticeably thicker. The taste was noticeably sweeter. And this one was noticeably my favorite. We re-steeped 8 times and detected different levels of astringency and flavor notes with each pour: soft stone fruitiness, smooth honeysuckle, rounded butterscotch notes. It tasted fresh, but made my mouth feel pleasantly dry. How can a handful of leaves and some water be responsible for so many different sensations on my tongue? 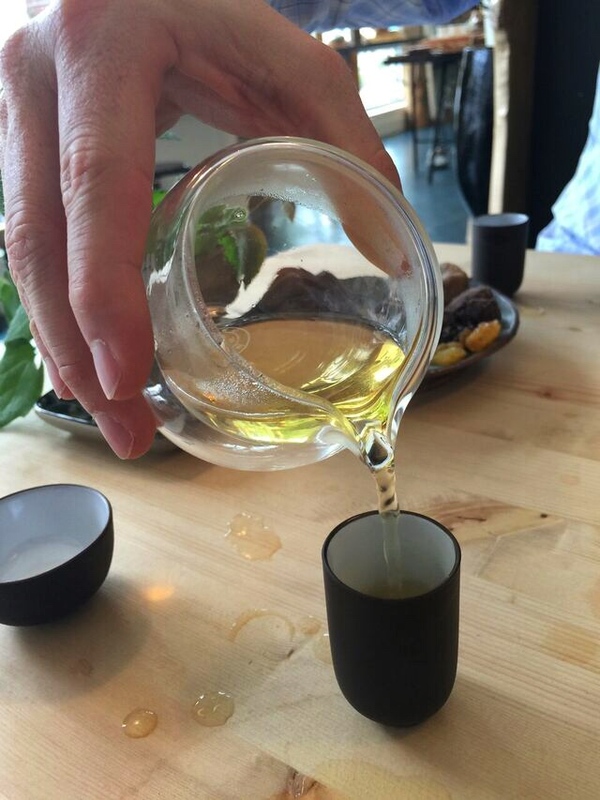 An afternoon at Saku Tea made for a superbly succulent experience, and deepened my appreciation for tea. Not to mention, the customer service went above and beyond anything I would’ve expected. As beverages go, tea is an awfully healthy choice with an advantageous antioxidant content and essentially no calories. 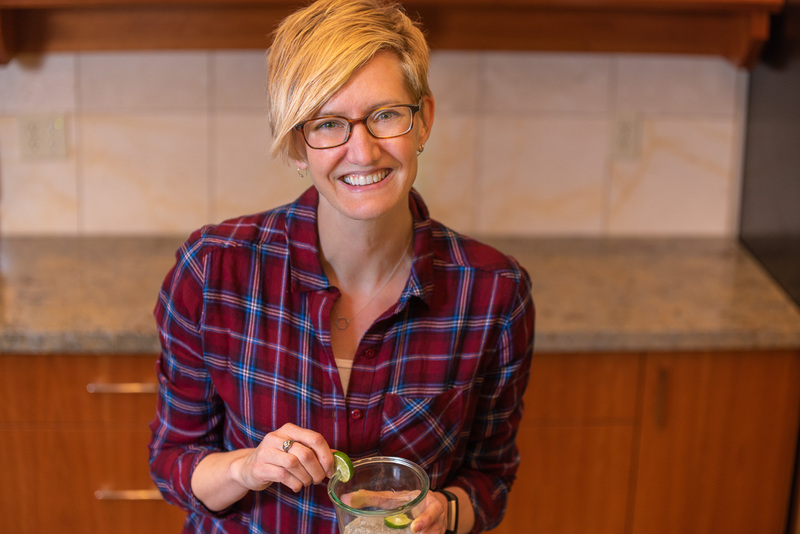 So why not put some time and taste buds into finding a favorite? People flock to buy craft brews, small batch coffees, and artisan sodas and proudly proclaim their favorites. Let’s add tea to the list as something worth shopping carefully for. And savoring for several hours. And occasionally paying more than you want to for. Have you ever spent this much time thinking about tea? Tell me about your favorite tea experience.